The latest Intel and AMD chipset plans have been published by a major German-based IT distributor known as BlueChip. 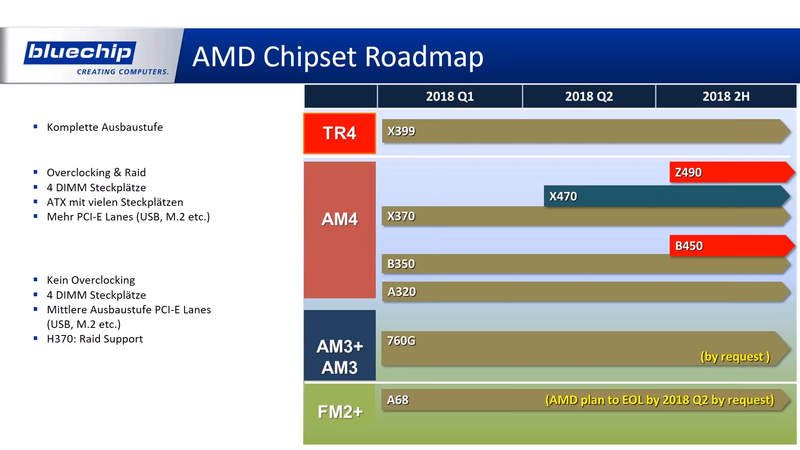 The chipset roadmap which details Intel’s and AMD’s next generation of mainstream and high-performance chipset plans reveals the expected shipping plans along with details of what we are to expect from the upcoming motherboard lineups. Before starting off with the details, I want to state that there’s no chip in the roadmap which we don’t already know about. In fact, there are some chipsets happening that aren’t even revealed during the distributor’s 30-minute long presentation. Regardless, the time plans are very detailed so let’s take a look at them. Let’s first start off with the AMD chipset details which focus on both mainstream and high-end desktop platforms. We know that AMD has launched their Ryzen 2000 series processors that are part of the Pinnacle Ridge family. Alongside the processors, AMD also introduced the new X470 motherboard refresh which goes well with the new processors, allowing for enhanced features and best Ryzen 2000 series processor support. Before the AMD Ryzen 2000 and X470 series even launched, we came to know about this new chip-set known as Z490. At first, I thought this was an Intel-specific chipset but sources based in Taiwan revealed that it’s, in fact, an AMD-specific chipset. Basically the best AMD 400 series chipset for the mainstream family which focuses on enhancing the number of PCIe lanes while offering more I/O support. There are other features that we do not know of at this point but the launch is expected in July of 2018. As for the other mainstream chipset that has been officially announced, the B450 for entry-level and budget motherboards is expected to launch in late July 2018. So pretty much a similar time-frame for both Z490 and B450. One thing I heard is that Z490 while being better in terms of I/O would not feel like much of an upgrade over the current X470 motherboards so current X470 owners will have not much to worry about as their boards are meant from longterm Ryzen support. 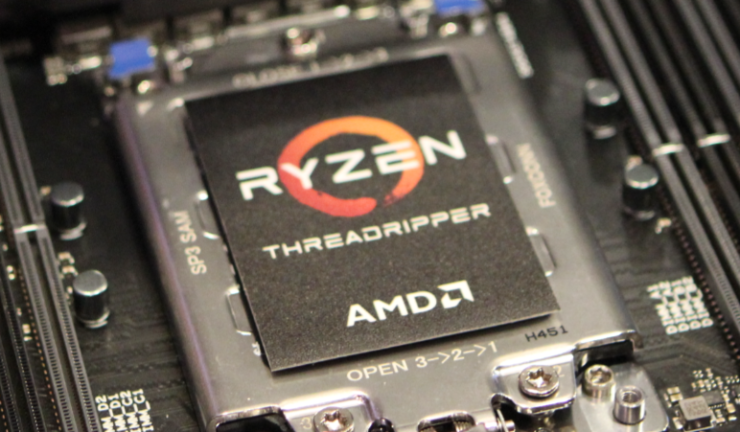 Moving on to the high-end desktop front, the AMD X399 is getting a refresh when the 2nd Gen Ryzen Threadripper processors launch. These motherboards will be a feature rich entity with an extreme focus on stability and tons of I/O at users disposal. The launch is expected around August of 2018 and you can expect them to be the best HEDT platform on the market just like the first gen Threadripper series. We finally have a more concrete confirmation of the Intel Z390 chipset which is designed around the new Coffee Lake-S 8 core processors. We may not have a confirmation regarding 8 core CPU compatibility on Z370 motherboards but we can’t rule out the possibility until we know more. 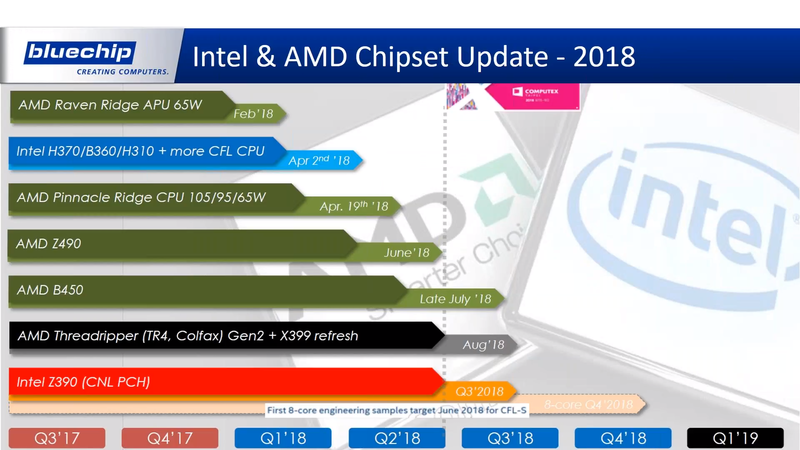 The interesting thing here is that while the Z390 series will launch around Q3 2018, the Intel 8 Core CPUs may not launch until Q4 of 2018. The first 8 core engineering samples are currently targeted for June 2018 as part of the Coffee Lake-S family. That explains why we haven’t seen any performance statistics or leaks regarding the new parts. On the HEDT front, naming schemes are going to get more confusing for Intel and AMD users. The new Intel X399 chipset for Cascade Lake-X processors will launch next year. 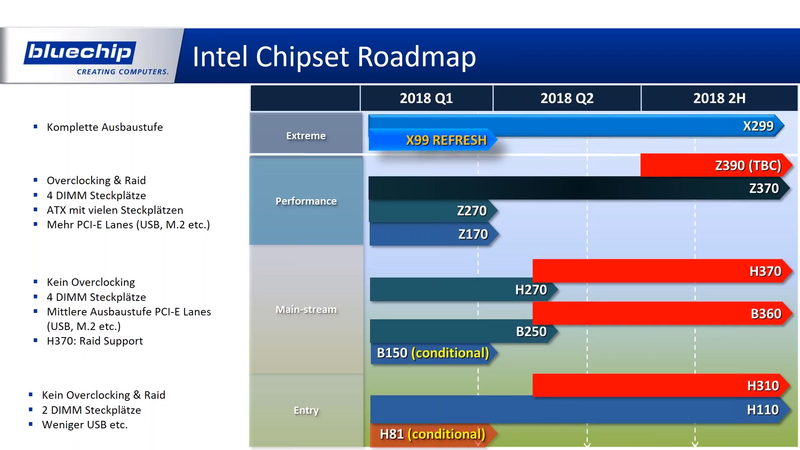 Having X399 on both ends can make things a bit weird but I guess enthusiasts aren’t that dumb to not know which chip is designed for which platform. Expect more details on these motherboards at Computex 2018.